In 1942 this project is initiated from the OKH WaF. It starts life as a heat-detection disk of 60 cm. 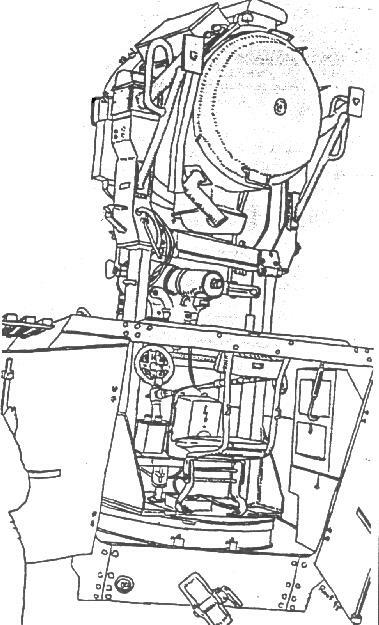 From 1944 on a few of the than evolved infrared units are installed on standard 251's. The panther tanks involved are called sperber. It consists of "beobachtungstelescope"(telescopic sight) 1221 and a "beobachtungsgerat"(viewing machine) 1251. The project is called "Uhu" (giant owl). 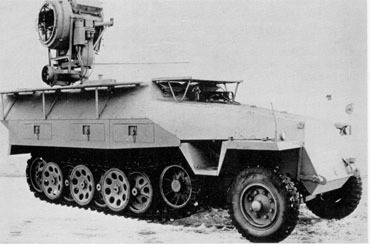 One Panther unit is equipped with it at the end of the war. 6 Panthers and a 251/20 work together. Circa 60 UHU's were buildt. The 60 cm infrared spotlight is mounted on a high frame, 45 cm above the vehicle. 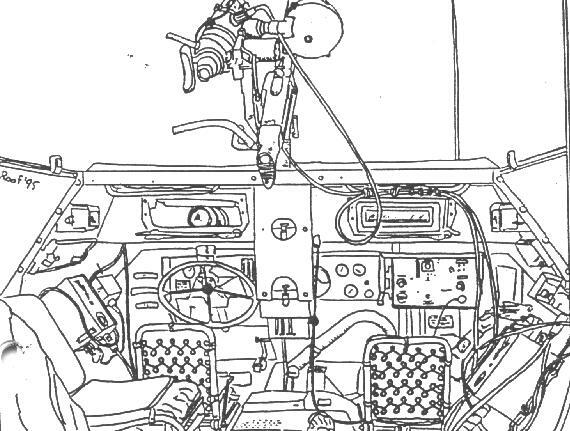 The 251 and the panther's have an infra-red vision systems for the driver's and for the commander of the panther. The range of the light is circa 1.5 km. The range of the sight is circa 1 km. Collapsible runways on the right side and front enable the crew to service the light. The driver has the small infrared light and sight in front of his normal sight. There is a wedge-shaped cable-guard where the powercable penetrates the upper armor. An infantry MG with infrared light is called vampire. US- forces capure several in the west. In Hungary 1945 Soviet forces at Stuhlweissenburg encounter them. Accompanying vehicle to the UHU. Carries only the light and sighting equipment for the driver.